Bottle gourd is an important cucurbit vegetable of Madhya Pradesh. /january-March and September- October are the ideal seasons. For the rainfed crop, sowing can be started after the receipt of first few showers during May-June . 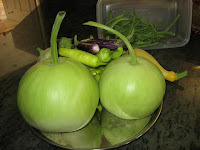 Bio gaurav,warad,8 no,supriya are high yielding varieties. Pits of 60 cm diameter and 30-45 cm depth are taken. Well rotten FYM and fertilizersare mixed with topsoil in the pit and seeds are sown @ 4-5 per pit. Unhealthy plants are removed after two weeks and only 3 plants are retained per pit. 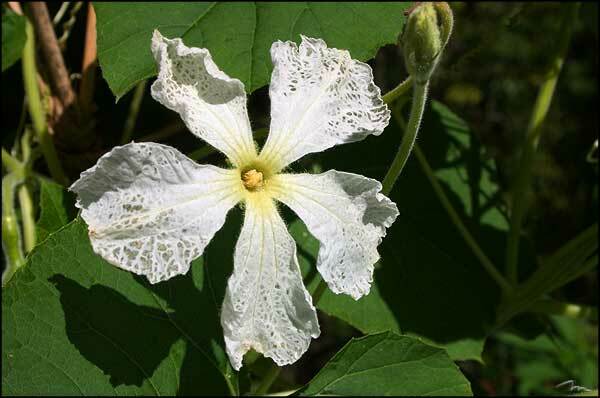 During the initial stages of growth, irrigate at 3-4 days interval, and alternate days during flowering/fruiting. Irrigation at 15 mm. CPE (approximately at 3 days interval for sandy loam soils) is more economical than irrigating once in two days especially during summer months for. water economy. Erect pandals when the plants start vining. Conduct weeding and raking of the soil at the time of fertilizer application. Earthing up is done during rainy season. apply carbaryl 20-25 gm or malathion 30-40ml in 15 litre of water containing sugar or jaggery at 10 gll at fortnightly intervals at flowering and fruit initiation. Spray as coarse droplets on the ventral surface of leaves. Remove and destroy affected and decayed fruits. Remove and destroy egg masses, grubs and adults occurring on leaves. Spray carbaryl 20 -25 gm per 15 litre of water . Adult beetle eats the leaves, makes hole on foliage and causes damage on roots and leaves. Incorporate carbaryl 10% DP in pits. before sowing the seeds to destroy grubs and pupae. Apply 1.5% fish oil soap. First dissolve soap in hot water and then make up the volume. It is severe during rainy season. This can be checked by spraying mancozeb 50 gm in 15 litre of water(waiting period ofmancozeb is three days). Can be controlle d by spraying combination of Mancozeb and carbendazim 35 gm per 15 litres of water. Control the vectors by spraying dimethoate 35 ml in 15 litres of water. Uprooting and destruction of affected plants and collateral hosts should be done. The fruits should be washed thoroughly in water before cooking. 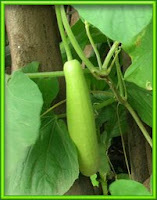 Bottle gourd or Dudhi or lauki has been a part of Indian Ayurvedic medicines. It has several health benefits. Consumption of bottle gourd juice on an empty stomach, first thing in the morning; is beneficial to reduce weight. It has a high fibre content and thus useful in regulation of bowel movements. It prevents excessive loss of sodium from the body. It also helps in controlling excessive thirst in diarrhea, diabetes, and consumption of food rich in fatty acids and oils. 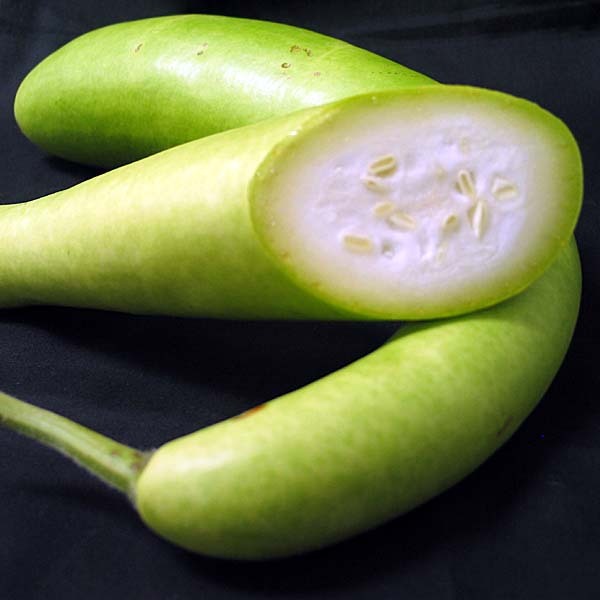 If you are on a low calorie diet eating bottle gourd is a must as it is high in fibre and low in calories. 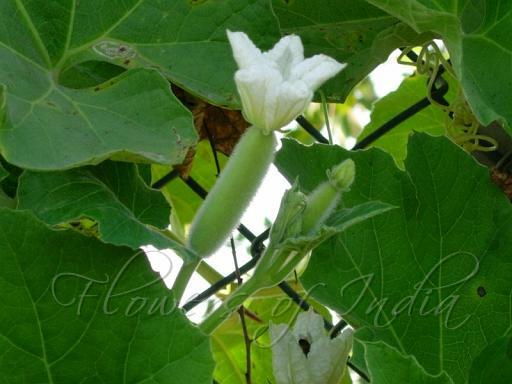 Due to its high fibre content it can be used to prevent gastrointestinal disorders, constipation, piles, ulcers etc. 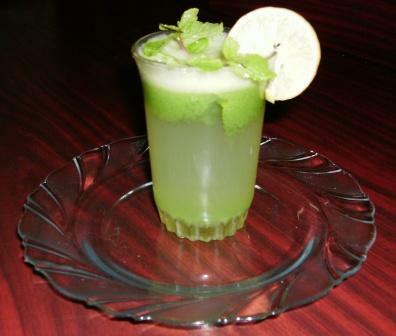 It acts as a diuretic and calms you down after consumption. It helps cleanse your system. It has been used to treat epilepsy and other mental ailments. It is useful in controlling blood pressure and diabetes. About 100 ml to 150 ml of juice consumed everyday will make a world of difference. Nature has got stuffs that are really interesting and healthy that can help you in maintaining good health for long. You people can also take help from other squash,gourds and fruits to maintain good health without any side effect as the best thing about nature is that it doesn't harm you without your own mistake. 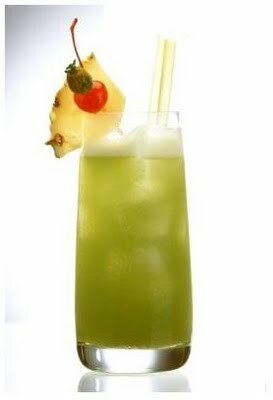 You can go other healthy juices like the Tahitian Noni Juice or the mangosteen juice and so on to maintain good health for long. A time bomb for whole Wheat crop! Clove Cultivation -An inside View. Coconut Cultivation Practices for India. Colourful vegetables and their Markets. Do we Need Bt.Brinjal ? Foreign Origin Crops in Gujrat. Future Crops From Green Houses. Herbicides their mode of action on Plants. Humic Acid and Sea weed extracts...their Benefits! Money Making Ideas..........on net !! Paan/Betel Leaves- Basics and Economics in Indian Scenerio. Rudraksh,its importance in Hinduism and its Cultivation. Some Exotic Fruits.......you will Love them!